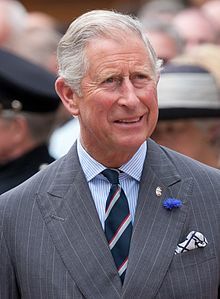 I am a Prince Charles fan. It takes courage to speak as he has done today in The Telegraph, to risk reputation with the likelihood of ridicule and controversy. It’s made me think about the use of the words the environment. There are certain words and phrases to which I have developed a rather nasty allergic reaction. I shall be delivering a number of posts on these allergies. The environment is one such. The very use of these words suggests a kind of separation: here is us, the humans; over there, the environment that has (is) a problem that is vexatious to us. It suggests that we are somehow separate from Nature (another word that gets me sneezing). The thing is, there is no here and there; there is only us, where us = humans, whales, CO2, cod, ants, the Amazon Rainforest, and the whole rest of the caboodle. We are the environment; we are nature: there is no environment; in fact, it’s all environment. I wish that every time someone said the environment, e.g. we must care for the environment , they would simply replace this with some kind of first person pronoun, i.e. we must care for all of us . I’ve been reading David Loy: Loving the World as Our Own Body: The Nondualist Ethics of Taoism, Buddhism and Deep Ecology, which says much better and much more comprehensively what I so inadequately try to say here. Read it!